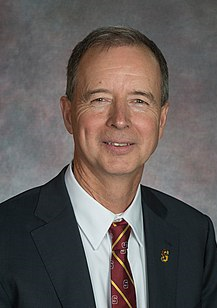 Dr. Charles Wright was inaugurated as Salisbury University’s ninth president yesterday. He committed himself to improving the affordability of a college education. In addition he called for a true culture of inclusion and building partnerships with the community. Wright said some of those initiative have already been started beginning with the new Center for Equity, Justice and Inclusion at the Blackwell Library. In addition, Wright noted a new collaboration with the University of Maryland Eastern Shore including what he called, Delmarva Media Collaboration, that looks to a partnership between Delmarva Public Radio at SU and WESM on the UMES campus. Wright succeeds Dr. Janet Dudley-Eshbach who served for 18 years at the helm of the university. Wright said he spent his first 100 days listening and getting acquainted with the institution.